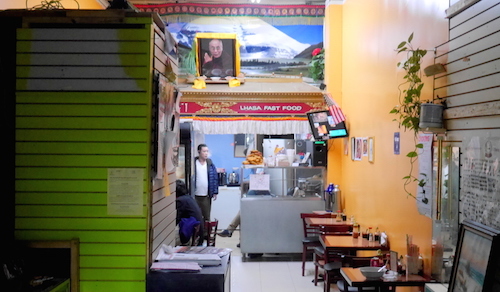 Fresh off their victory in the coveted Momo Crawl, not much has changed at slow-paced Lhasa Fast Food, located inside of a Tibetan Mobile store in Jackson Heights. The Dalai Lama still watches everyone eat from high on the wall, and Tibetan travel shows are on TV. Sneak through the store up front and get to the back (do not go down any stairs), to find yourself in the cozy dining room. A few recommendations online will say something about trying the thukpa but that it has packaged noodles. Seems counter-intuitive, especially as I walked up to the counter and saw them making the noodles used for then thuk in the back. Noodles were being thwacked against the counter, making a pleasant noise hinting of a fresh bowl of goodness I was about to receive. At the counter, getting someone's attention can be problematic. 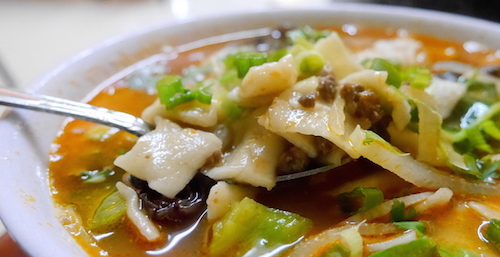 Then thuk ($6, below) is a nice bowl of cut off squares of these homemade noodles and small crumbles of ground meat. The dish as served has just a hint of spice, so the server pushed four bottles in front of me as I started to eat: vinegar, soy, hot sauce, and momo hot sauce. 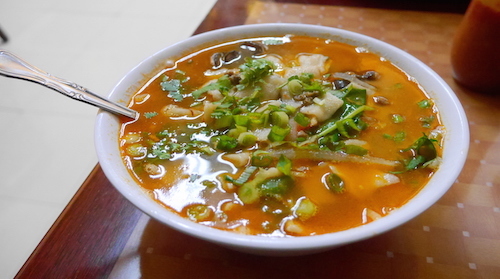 It takes a while to get through the bowl for two reasons, the first being it is served painfully hot and requires patience. The other is that it is quite large and a very good portion for the price. 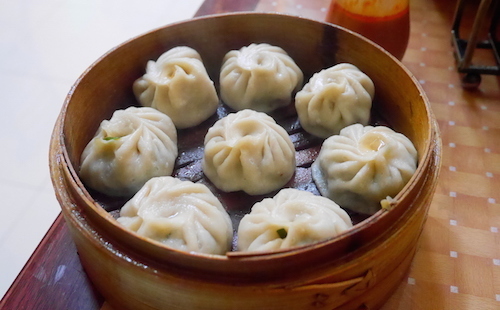 The momos ($5, below) here are served as a portion of eight, but you can ask for a mix between meats and vegetables. I got beef, chicken and vegetable, and weirdly prefer the meatless versions as usual with momos. As always, momo hot sauce is a very good bet, and make sure to get lots ready for dipping. 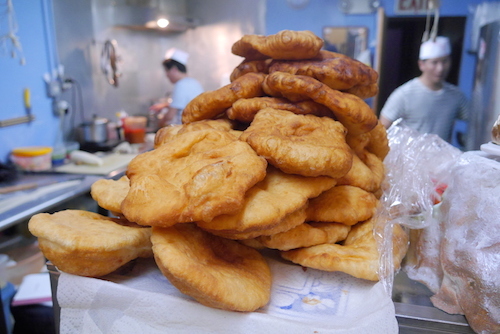 If you cannot tell, it is usually a more orange-colored sauce than normal hots. 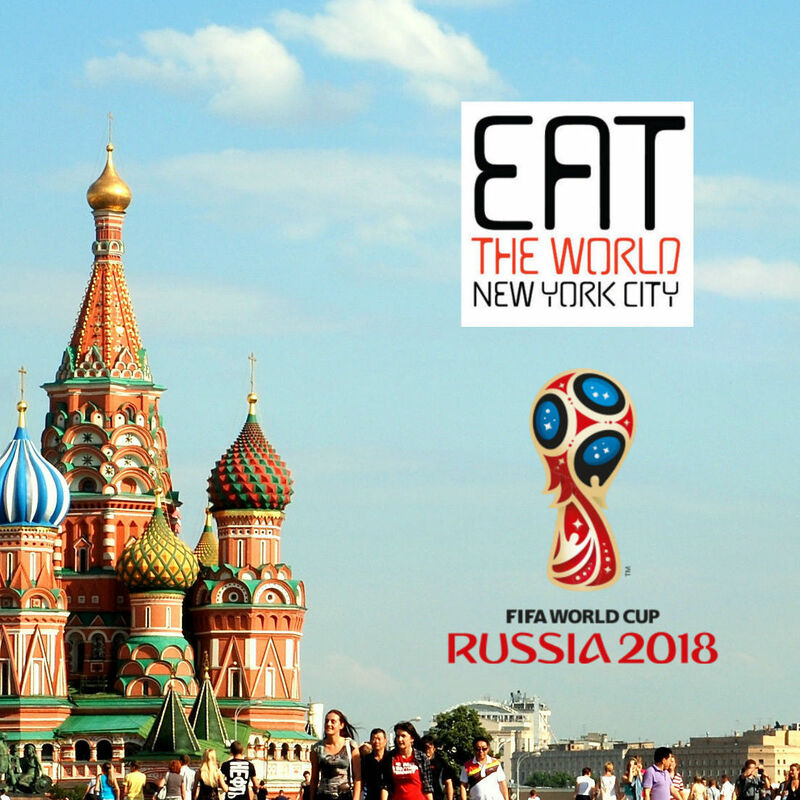 This is one of those New York experiences of ".... in the back of a .... " and usually they never disappoint, if not with perfect food, than always with good experiences. 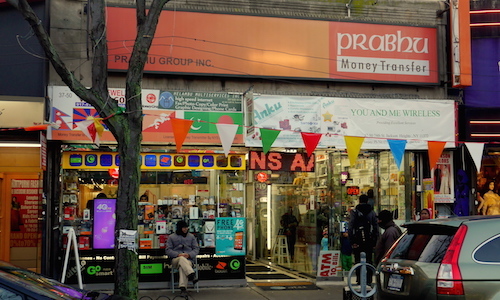 The people dining here are mostly Himalayan, and the quality is great for the price point. Everyone smiles and is generally in a good mood.